I wanted to make “Frozen” Olaf T-shirts using a fantastic tutorial from Mom Endeavors. I had a bit of trouble tracing the pattern, probably because the T-shirt was too thick. At least my four-year-old was thrilled with the results and had a great time participating in and watching the process. 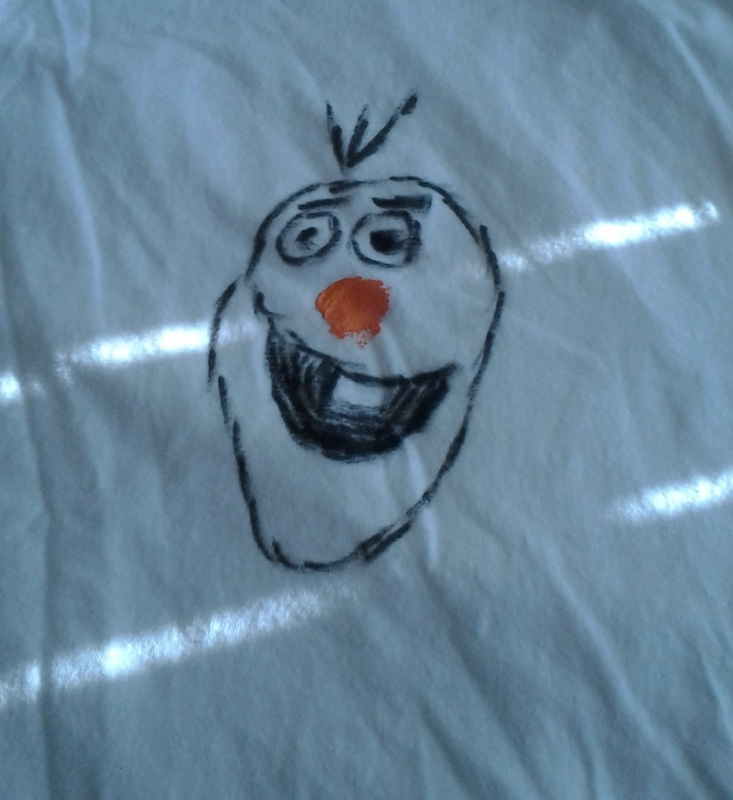 My 10-year-old didn’t want to make an Olaf T-shirt. Instead, she painted a gorgeous pony, a character from My Little Pony, and did a much better job than I did with my Olaf. 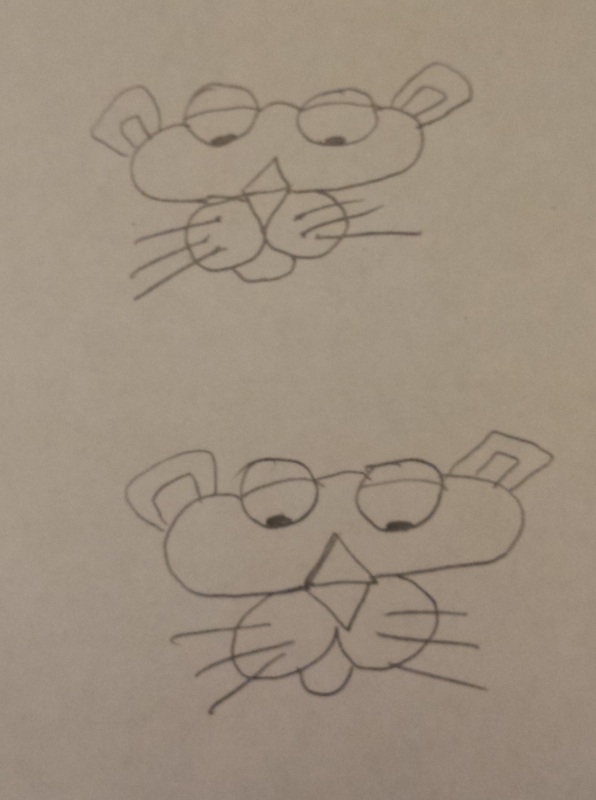 Obviously, she did not gether artistic talent from me. We really enjoyed the project, and I’m sure most kids would love the opportunity paint on shirts, whether it’s Olaf from the movie “Frozen,” a super hero like Spiderman or something else. You can pick up plain kids’ T-shirts at craft stores like Michael’s or even at Toys-R-Us, where I saw some recently on clearance for about $3.50. Craft stores also carry fabric paint and markers. I used a black fabric marker for most of my Olaf shirt and regular orange acrylic paint for the nose. 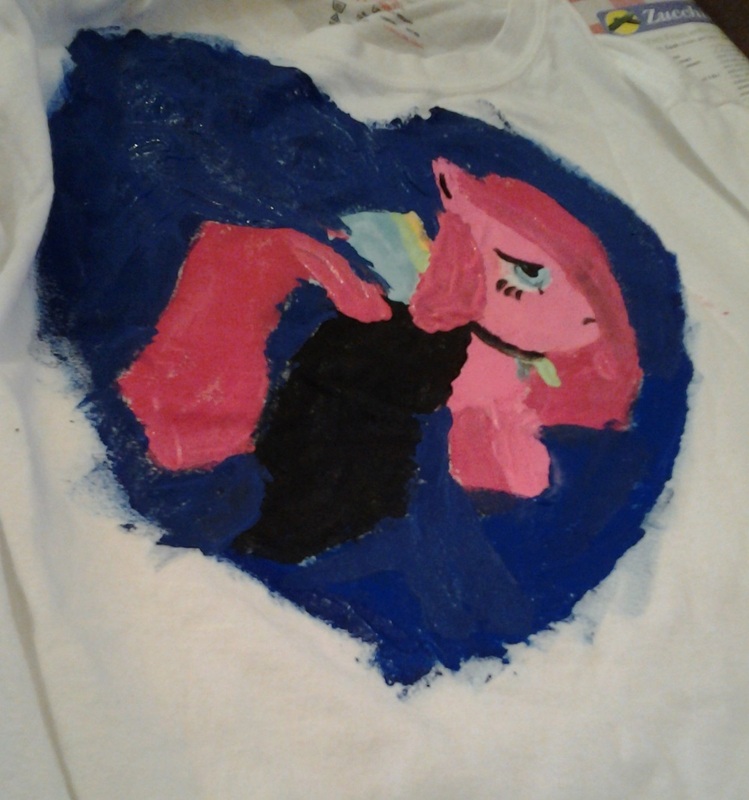 My artist in residence used acrylic paint for her pony since I didn’t have the right colors in fabric paint or markers. You can probably find patterns online for just about any animated TV or movie character to trace onto a T-shirt. Some popular options might include SpongeBob SquarePants or his friend Patrick or classic characters like Scooby Doo. 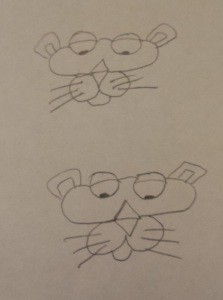 I can sort of draw the Pink Panther freehand. Maybe that should be our next T-shirt project! Birth control failure rates: Why are so many pregnancies unplanned?